I hope this post finds everyone geared up for the new year. So far, mine isn’t off to a good start. I’ve been a little under the weather. I’m feeling much better now except for the stupid cough that wants to hang around. Christmas was busy! It was full of family, fun and FOOD. We had such a good time and I really hated to see it end. But I guess it’s time to get back to our normal schedule. BUMMER! 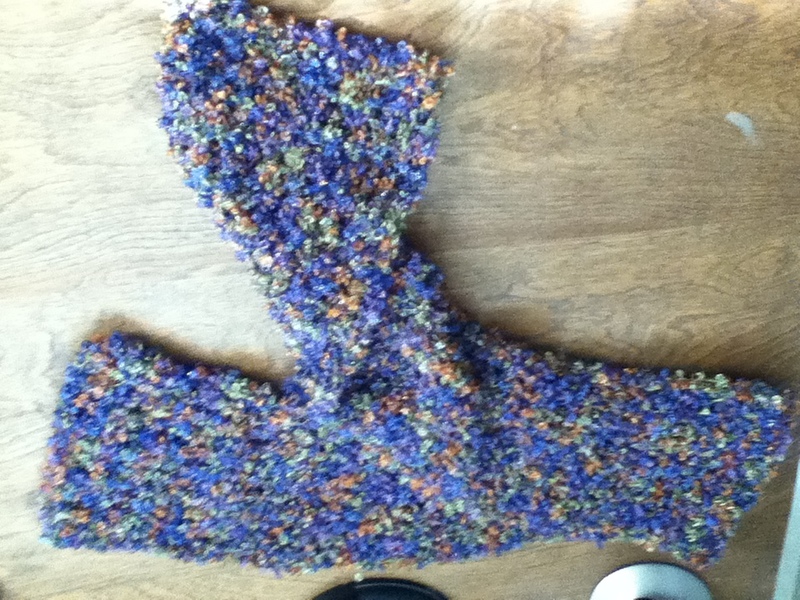 I did manage to finish knitting this scarf. I used one of those loom thingies. Although, I think the scarf is beautiful I did find the process a tad boring. I was reading over last year’s resolutions. I did everything but use the polymer, make a collage and I didn’t refashion any clothes, but I did a little sewing. Not too shabby huh?